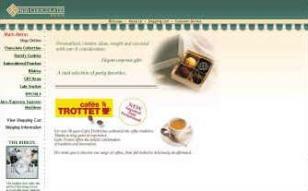 This company located in New York sells finest chocolates online and in store. Bitochon designed an Ecommerce website for a candy company that is designed to enhance the buying experience and prompt the site visitor to make a purchase. The site features the various types of chocolate and other candy displayed in photographs and enables customers to browse, shop and purchase items using credit cards.